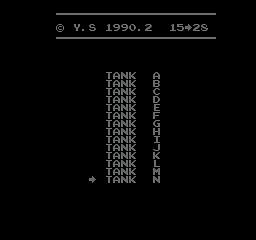 An enhanced version of Tank 1990, a Battle City hack by Yanshan Software. 1. 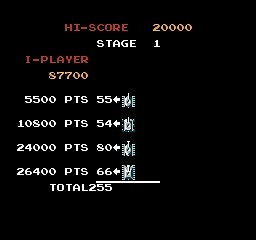 In order to pass any level, you need to destroy 255 tanks. 2. 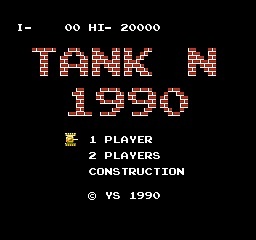 Your tank is always the default pumped into two stars. 3. The arrow always is the version N.
4. The original number of lives - 4. 5. Life can not steal from each other. 6. When taking a bonus instead of 500 OK sign. 7. 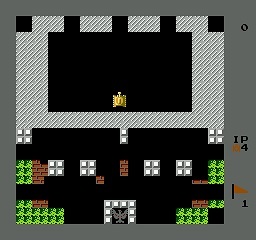 Now the enemy tanks appear in five points instead of three. 8. The digital counter of the remaining enemy tanks in stock.